Wall Street and Silicon Valley have never been happy bedfellows, and that was on full display this week during Tesla’s quarterly earnings call. These calls are usually dull affairs, with CEOs or CFOs reading a prepared script summarizing the already-released financial results and articulating the main goals of the company that have, presumably, been stated before. Then Wall Street analysts ask a series of questions about the results, tactics, and strategy that executives artfully dodge or dutifully answer. Much like press conferences, the format does not lend itself to spontaneity. Except when the company is Tesla and the CEO is Elon Musk. The press after this week’s call was intensely critical of Musk for dismissing questions, refusing to delve into financial details, and musing about robo-Ubers and autonomous electric trucks cutting into rail transport. More than most, the call exposed the starkly different perspectives of Wall Street and the valley. Musk clearly is avoiding some hard questions about Tesla’s financial viability. But it’s equally true that the call exposed how limited Wall Street can be about visions for the future and what it takes to create new templates for doing old things. Musk is not your normal CEO, of course, with his multiple interlocking companies and his ability—so far—to convince investors to go along for a ride that promises the moon (or Mars in the case of his SpaceX) and delivers no earnings while taking on huge amounts of debt. 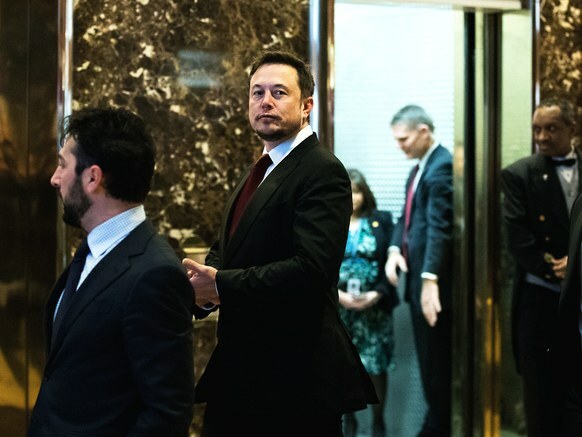 But even by those standards, his refusal to answer basic questions about, say, how much cash Tesla is burning through and whether the company has a plan to continue subsidizing and capitalizing its expenses struck Wall Street as odd and a sign of deep problems. What made this call peculiar was the way Musk dismissed sober questions by respected Wall Street analysts such as Toni Sacconaghi of Bernstein, who pressed Musk about costs and cash. Musk brushed him off, sniping that “bonehead, boring questions are not cool.” To add insult to that injury, Musk then fielded questions from a YouTube user, who proceeded to dominate a call normally open only to significant Wall Street analysts. That did not sit well with the Street, and Sacconaghi lambasted Musk the next day on CNBC with the rather clever jab, “This is a financial analyst call, this is not a TED talk.” Friday, Musk returned fire, with tweets asserting that the question was boneheaded because the analyst already knew the answer and was asking purely to advocate a negative thesis about the company. Musk’s sparring with analysts recalls similar tensions between Wall Street analysts and Jeff Bezos of Amazon, Reed Hastings of Netflix, Mark Zuckerberg of Facebook and other arrogant, aggressive, and visionary technology CEOs. The analysts consistently press for metrics including revenue, margins, cash burn, and earnings projections. The CEOs routinely try to emphasize growth, users, experience, and long-term vision. The analysts press on expenses, competitors, cost of capital; the CEOs dodge and weave and point to strategy, new models, breaking old molds, and creating new marketplaces. And so the dance goes. The power has shifted back and forth since the real explosion of tech companies on Wall Street during the 1990s. During the dot-com euphoria of the late 1990s, the concerns of traditional Wall Street analysts were seen as quaint, stodgy, and hopelessly backward. Who cares about traditionally viable business models, the techies essentially said; we are creating entirely new channels. After the Nasdaq bubble burst in 2000, the momentum shifted to Wall Street; actually, cash matters, and having a real business with real revenue has to be part of the equation sooner rather than later. In recent years, there has been more convergence, with a handful of tech companies growing into potent businesses respected by Wall Street and attracting massive investor interest. The Tesla conundrum again crystallizes this conflict. Analysts demand a sense of when, and how, the company will generate cash and stop accumulating debt; Musk finds such concerns secondary to building out an ecosystem of battery production, propulsion and motor systems, renewable-powered robotic factories, and new modes of production meant to revolutionize how heavy stuff is made as surely as Henry Ford and Frederick Winslow Taylor did in the early 20th century. Ideally, one wouldn’t pick sides. After all, even Musk knows that at some point, his businesses will have to generate earnings and cash. Debt, however raised, isn’t endless—unless you are a sovereign government. But he also believes that unless the entire ecosystem is built out, it will fail. Hence the focus on massive capital spending and plowing into new business lines. Bezos had a similar ethos with Amazon, and essentially told Wall Street that he was going to follow his own vision and that investors were welcome to come along for the ride but not to drive. Those investors have been rewarded and then some. Of course, investors in Jawbone and Webvan were also promised transformation and ended up with nothing. Musk is telling investors that they can choose whether to buy in to his vision, but that they can’t challenge it. Given that almost no one in the analyst and investor community has ever built or run a mold-breaking business, telling them that they can accept or reject the vision isn’t unreasonable. Wall Street is often extremely good at what it does. Bankers and analysts understand how to price debt and equities while assessing the potential of loss, which they do diligently and conservatively (except when they fail spectacularly). But Wall Street is not, for the most part, the playground of those who define the future. That requires tolerating extreme risk and conceiving how things could be done differently. Most visionaries will be utterly wrong about their vision, because they are early, or overreach, or miscalculate. Buying Tesla stock is immensely risky, perhaps even ill-advised. That does not mean Musk should alter what he does or how he does it. In fact, managing his enterprises to please Wall Street is an almost certain path to failure; the numbers don’t add up—and won’t—unless everything works almost perfectly. Whether you go along for the investing ride is up to you, but Tesla’s fate should not be up to Wall Street analysts.